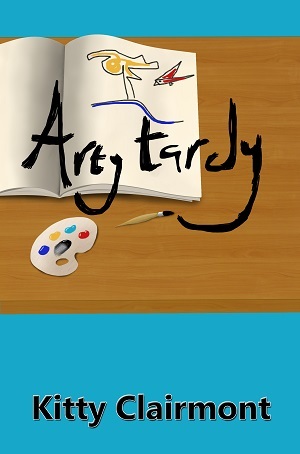 The ARTY TARDY workshop weaves Literacy and Art together. If you’ve read the book then you know what I mean. Inspired by elements of Picasso and Hockney it celebrates the fact that ‘Every Child is an Artist’ [Pablo Picasso]. We explore fun new words found in the book with practical application – that is – we play with paint and paintbrushes! But it is so much more than that! We compare each other’s ideas which always differs from person to person and can produce some visually exciting stuff I can tell you! We explore famous painters and look at different representations of an element from the book (could be a fruit or a tree…) which have been selected to illustrate the scope of different techniques and perspectives – the children delight it the ones that simply do not conform to ‘traditional’ ideas! So armed – off we go and produce our own! Ground rules incorporating the FOUR C’s form the nexus of the workshop that values every child’s contribution, viewpoint and level of ability and ensures that they have fun whilst learning collaboratively. All in all it celebrates diversity and self expression – with a good dose of humour and fun!